At this time of year, most golf fans’ thoughts begin to turn towards warmer weather and Augusta. And this year’s Masters Tournament promises to be one of the most intriguing in a very long time. Of course, the main question is whether Tiger Woods can win his first Masters since way back in 2005, and his first Major since his much-publicised troubles, and his eventual return to the top of the world rankings. But there are many more reasons to look forward to this year’s event and to join in the speculation as to who’ll be donning this year’s Green Jacket. Woods is the justifiable bookmakers’ favourite as things stand at a best-priced 6/1 with 32 Red. There are many golf aficionados who see him winning this time and it would be absolutely no big surprise to see him do so. But at the same time, for those of us who enjoy a little wager on the Masters – there are bigger and more tempting odds to keep life interesting. Englishman Lee Westwood, for example, is around 33-1. He has come close on many occasions, finishing runner-up in 2010 which was his best ever Masters, and could easily go one better. Or how about the 2009 winner and joint leader at the end of the Maters last year (before losing the play-off to Adam Scott) Ángel Cabrera? The jovial, easy-going Argentinian is a big price at around 60-1 and he’s still only 44; no spring chicken but not completely over the hill either. A little closer in in the betting is Phil Mickelson a 15-1 shot with 32 Red. Augusta is where Mickelson really turns it on. Quite simply, his record here is incredible – with wins in 2004, 2006, and 2010 and guess what; 2014 is another even number! Second favourite at around 7/1 is Northern Irishman Rory McIlroy. The 24 year-old recently beat third favourite for the Maters, Adam Scott, in the latter’s own back yard to win the Australian Open and is clearly back to winning ways (though it has to be said that his record so far at Augusta is not a great one. Next down the betting list are Sweden’s Henrik Stenson and England’s Justin Rose at around 19-1 and 26-1 respectively. Stenson is yet to win a Major, whilst Rose is current US Open Champion – though the best he’s done at Augusta is fifth. All in all it promises to be a fascinating encounter and one which is always livened up by a long shot punt. With 32red online casino Canada, you’ll qualify for $32 for each $10 deposited if you’re new to the site then you should be able to transfer the cash across to the sports book having played through a few rounds – so with luck, you may be able to have a longshot punt in Augusta for free. 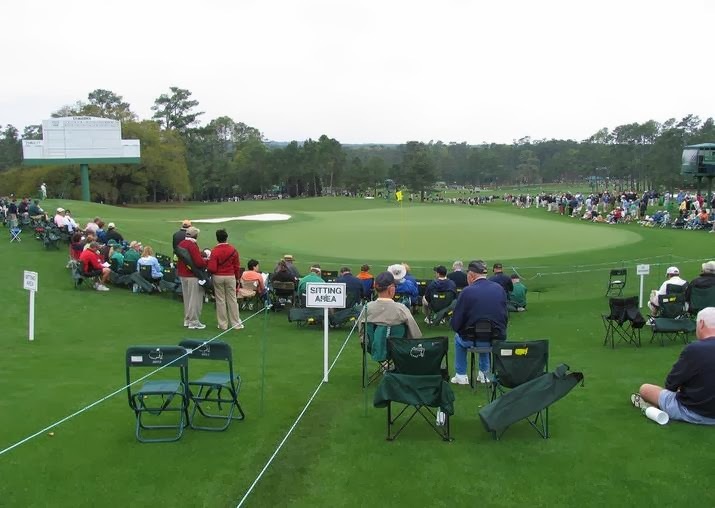 But whatever happens, you can guarantee the Masters will, as ever, be spectacular.